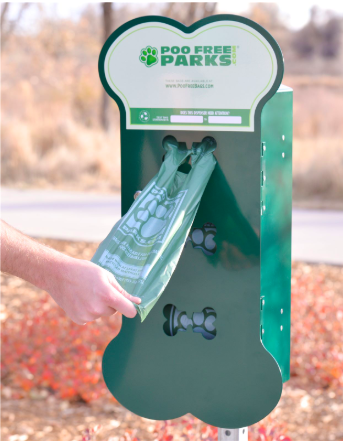 This large capacity dog bag dispenser is perfect for Parks! Extra-durable, eye-catching and downright cute, our dog-bone shaped dispenser was designed specifically for a park setting. 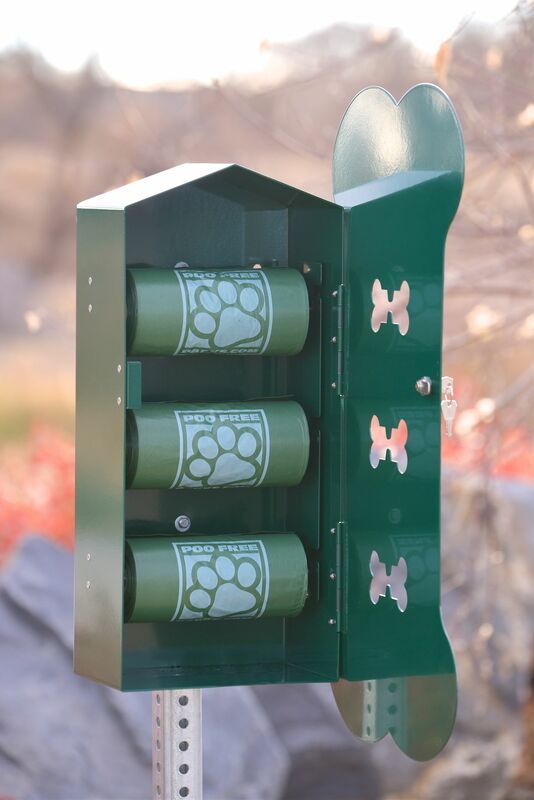 This is the best looking and highest quality dispenser on the market today. Don’t buy an ugly cheap dispenser, choose Poo Free! Holds up to 900 bags at once! 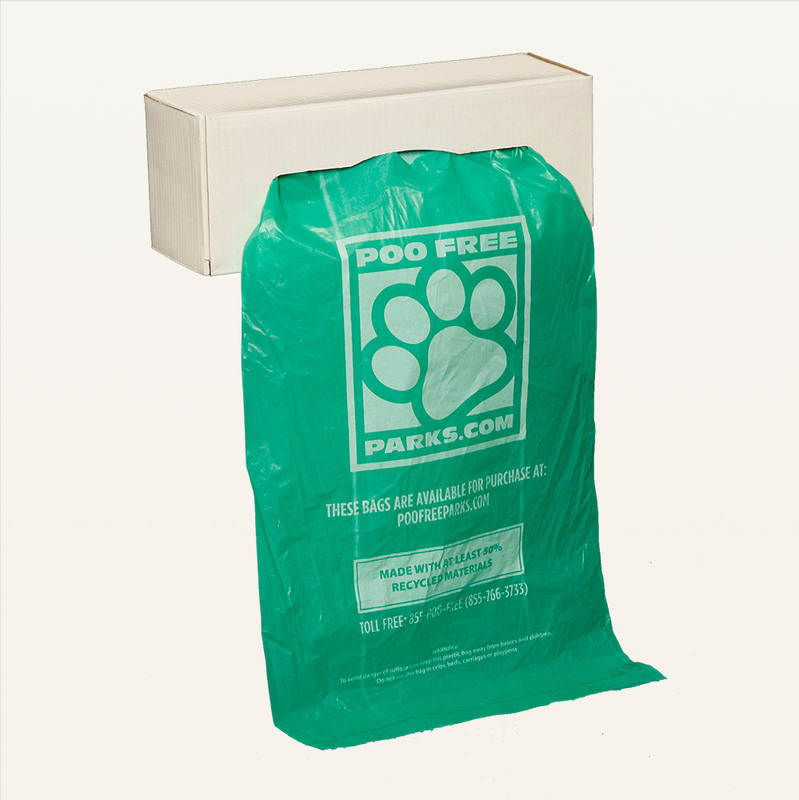 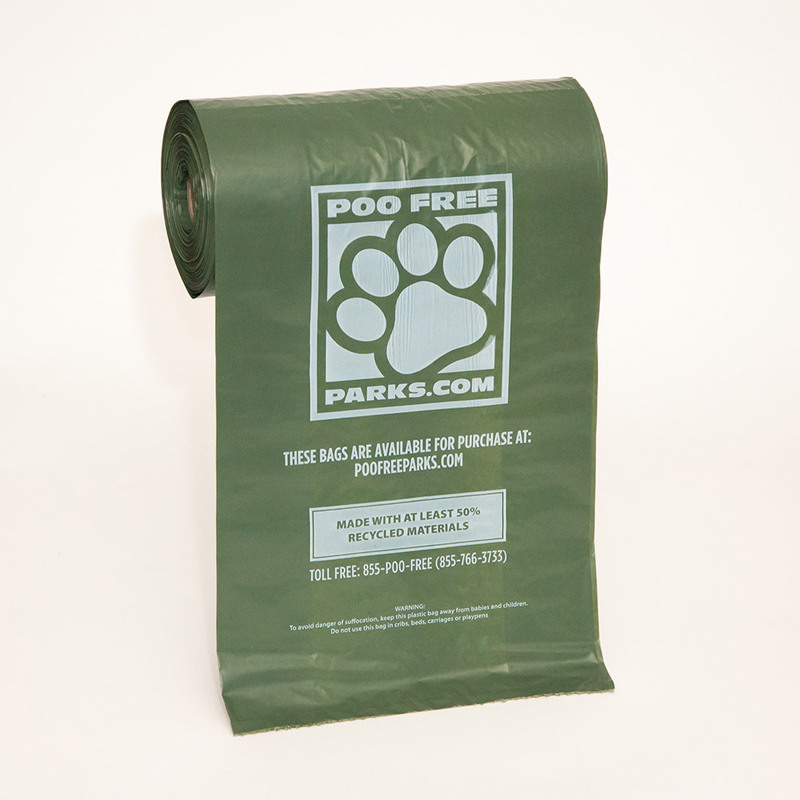 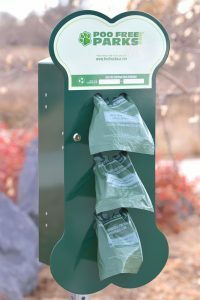 Is designed with the capacity to hold 3 rolls of our PFP 300 dog waste bags. 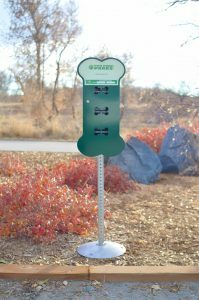 Has a dog-bone design that is eye-catching and aesthetically pleasing. 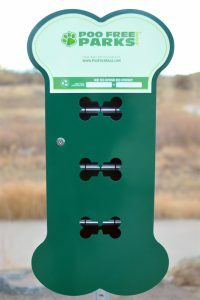 These dispensers are easily noticed by dog-owners but aren’t an eyesore in a park setting! Made from heavy-duty recyclable steel, painted “Federal Green” with a weather resistant label on the front.